How to Integrate Facebook Comments with WordPress? Integrating social plugins to your website is the most effective way of marketing these days. Facebook Comments is one of those most sought out social plugin. It’s very easy to integrate it with your WordPress website. Login to the admin panel of your website and navigate to Plugins > Add New page from left sidebar. Type “Fancy Facebook Comments” in the “Search plugins…” textbox. Install and activate Fancy Facebook Comments plugin from the search results. Facebook Comments is already integrated at the default posts and pages of your website. 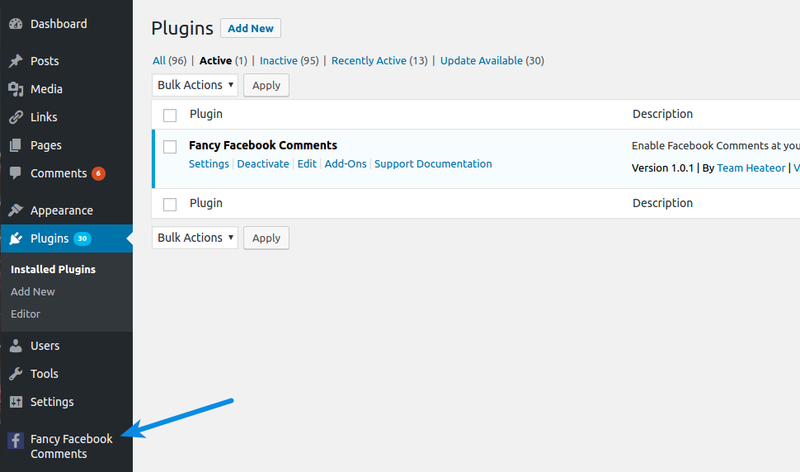 But you can customize the features of the plugin if you like. There is detailed description available for each option that you can see by clicking the (?) icon before each option. You can change the title displayed above the comment box using Comment box title option. Font-color of the title text can be changed using Title text color option. Font-family of the title text can be changed using Font family of the Title option. You can change the HTML tag of title text using HTML tag for Title option. Font-size of the title text can be changed using Title-font size option. 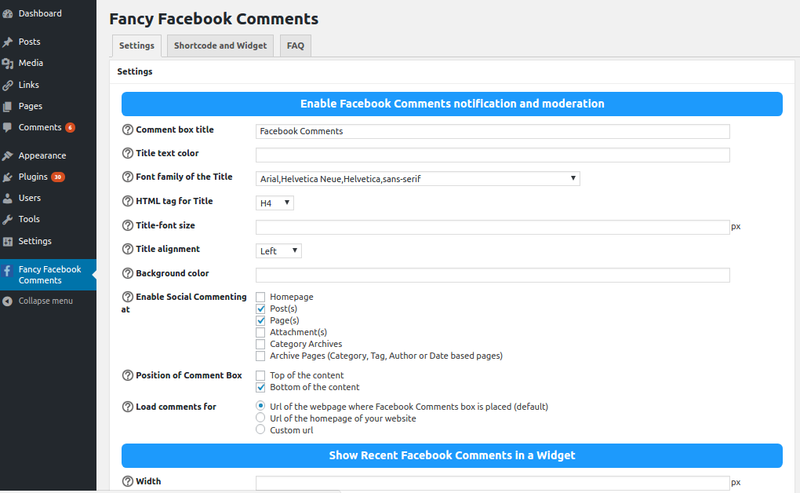 You can enable, disable Facebook Comments at the page groups of your choice from Enable Social Commenting at option. Here you can choose to integrate Facebook Comments with WooCommerce products, BuddyPress activity and group pages, BBPress topics and forums and other custom page groups. 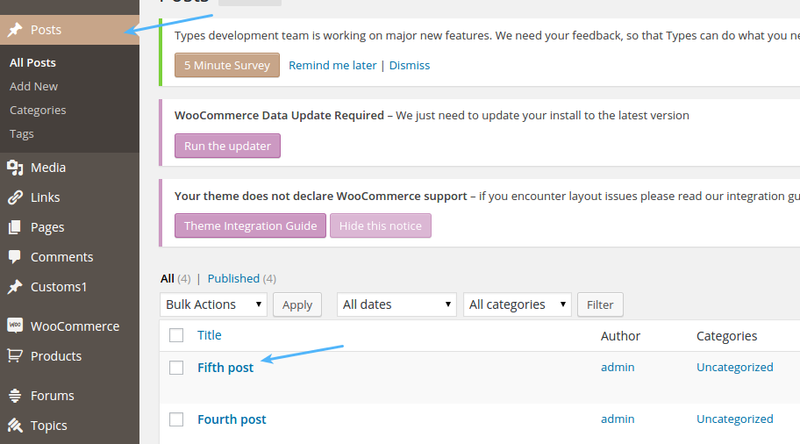 Position of comment box can be adjusted using the Position of Comment Box option. Comments can be loaded for a different url than the webpage where comment box is positioned from Load comments for option. You can specify the number of comments to display below the comment box using Number of comments option. Other parameters like width, language, color scheme etc. can be adjusted using the remaining options. If you are using Fancy Facebook Comments plugin, follow the steps mentioned below to enable Facebook Comments in the content of individual page/post. You can use [Fancy_Facebook_Comments] Shortcode in the content of required page/post where you want to display Facebook Comments interface. Use title attribute to specify title above commenting interface. Use url attribute to specify the target url for comments. This defaults to the page where shortcode is used. Use heading_tag attribute to specify the HTML tag for the title text. This defaults to “div”. Use num_comments attribute to specify the number of comments to display. Use order_by attribute to control the order of comments being displayed in the Facebook Comments interface. social: Default. Top comments first. Use dont_load_sdk=”1″ attribute if Facebook SDK is already being loaded at your webpages. This will stop the Fancy Facebook Comments plugin from loading another Facebook SDK. How to Recover Facebook Comments Lost After Moving to Https/SSL? If you had recently moved your WordPress website to Https/SSL, all your Facebook Comments would have been lost. Don’t worry, you can recover Facebook Comments by installing Fancy Facebook Comments plugin. Disable Social Comments at individual page/post? 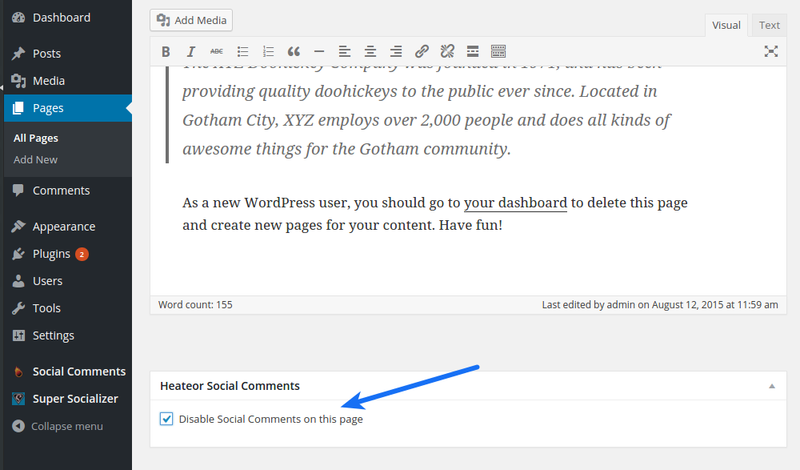 If you are using Heateor Social Comments plugin, you can use [Heateor-SC] Shortcode in the content of required page/post where you want to display Social Comments. Enable Social Comments without default comment form? 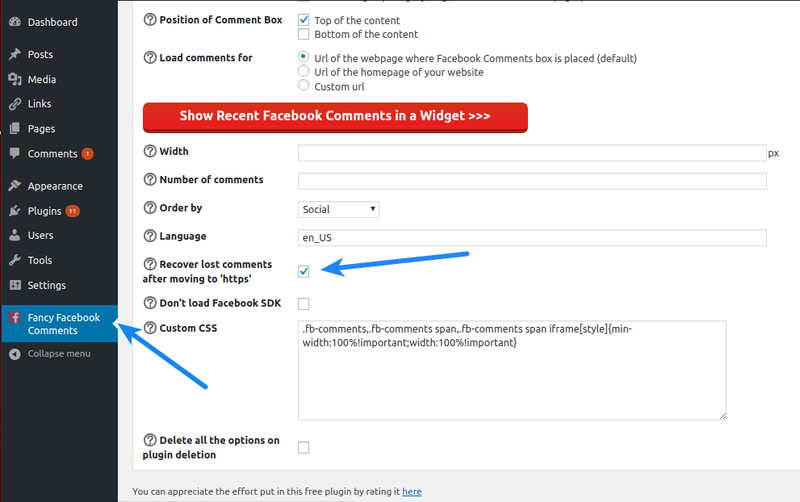 If you are using Super Socializer plugin to enable Social Comments, follow the steps mentioned below to disable default comment form from Social Comments. 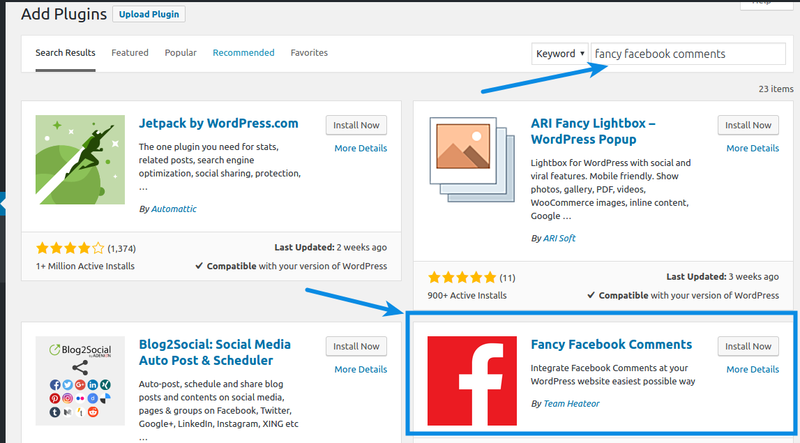 Change the Order of tabs in commenting interface in Social Commenting section at Super Socializer > Social Commenting page to facebook,wordpress,googleplus,disqus (keep WordPress at second place, arrange others according to your needs) and save changes. If you are using Super Socializer plugin to enable Social Comments, follow the steps mentioned below to disable Social Comments at individual page/post. If you are using Super Socializer plugin for Social Comments, follow the steps mentioned below to enable Social Comments interface in the content of individual page/post. You can use [TheChamp-FB-Comments] Shortcode in the content of required page/post where you want to display Facebook Commenting interface. Use num_posts attribute to specify the number of comments to display. You can use [TheChamp-GP-Comments] Shortcode in the content of required page/post where you want to display GooglePlus Commenting interface. You can use title, style, url and width attributes in this shortcode as explained for Facebook Commenting above. Facebook comments are visible only when logged into the website? If you are using Super Socializer plugin for Social Comments, follow the steps mentioned below to enable Facebook Comments for the users not logged in at your WordPress website. Navigate to Settings > Discussion from the left sidebar in the admin panel of your website, disable the option “Users must be registered and logged in to comment” and save changes.